Judy Hicks receives "Patriot Award"
Judy Hicks, Baker Boyer Consumer Loan Supervisor, received the “Patriot Award” from the Washington Committee for Employer Support of the Guard and Reserve (ESGR). Judy was nominated by David Keeley, a Baker Boyer Consumer Loan Advisor who also serves as a First Lieutenant in the Oregon Army National Guard. In his nomination, David highlighted Judy’s outward recognition and support for his service in the Guard. After reviewing thousands of nominees, the Washington Committee for Employer Support of the Guard and Reserve (ESGR) selected Judy to receive the award. With more than 40 years of experience, Judy exemplifies the type of leadership and support Baker Boyer extends to its employees, including the men and women who serve our country through service in the Guard or Reserve. Baker Boyer is one of a few companies who has formally signed and posted a Statement of Support for the Guard and Reserve. Judy Hicks, Consumer Loan Supervisor, receives ESGR's Patriot Award from Darold F. Bigger, Rear Admiral, Chaplain Corps, United States Navy (retired) as David Keeley, Consumer Loan Advisor, looks on. David is a CH-47F Chinook Aviator who is required to serve a minimum of two days a month away from his civilian employment, but it is often much more than that—sometimes with little notice. For example, last summer, David was called to fly water bucket operation in support of the difficult Oregon forest fire season. In FY17, he served over a combined 100 days as an M-day (part-time) soldier.  During that time, Judy managed the relatively small staff in the Consumer Loan Center, supporting her team to effectively serve David’s clients, even on short notice. Not only has the ESGR noticed Judy’s exceptional support with this award, so have the Union-Bulletin readers who once again voted Bayer Boyer as “Best Mortgage Lender” in the recently-announced 2019 “Best of the Best” awards. 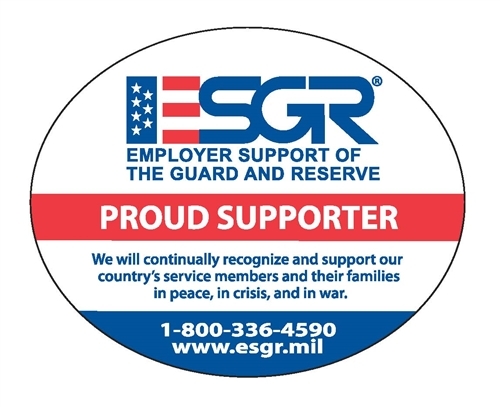 Employer Support of the Guard and Reserve (ESGR) is a Department of Defense (DoD) program that develops and promotes supportive work environments for Service members in the Reserve Component through outreach, recognition, and educational opportunities that increase awareness of applicable laws, and resolves employment conflicts between Service members and their employers. The Patriot Award honors individual supervisors for their support when nominated by the employee. For more information, see www.esgr.mil.